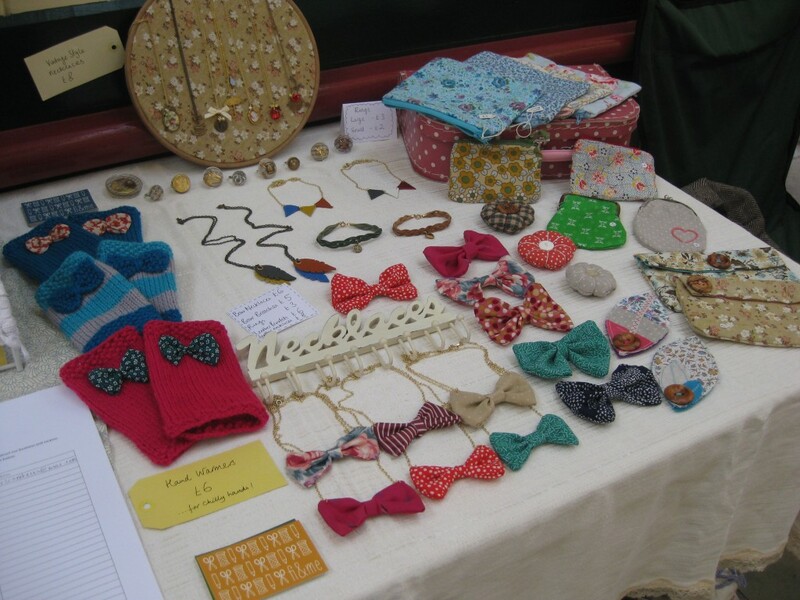 We were at Stockport’s Handmade Market again last month. The theme was Halloween, of course, and everyone got into the spirit (no pun intended, ok, maybe a little bit). Here’s some pictures of our stall. It was a nice change not to be sat behind the table and we talked to lots of lovely people about what we were making – thanks if you stopped by for a chat. This is Fi’s latest character. 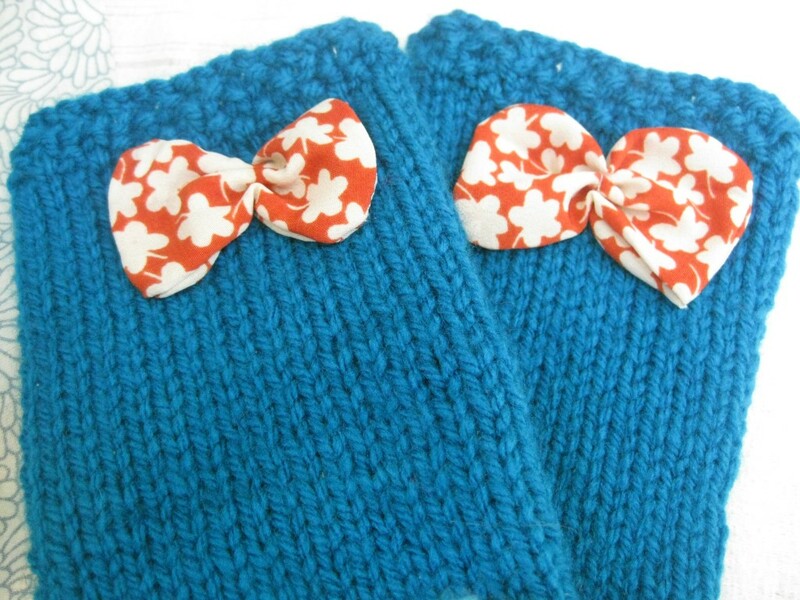 She’s called Clarabelle Teagreen, I love her bear ears – I’m making some for us to wear. 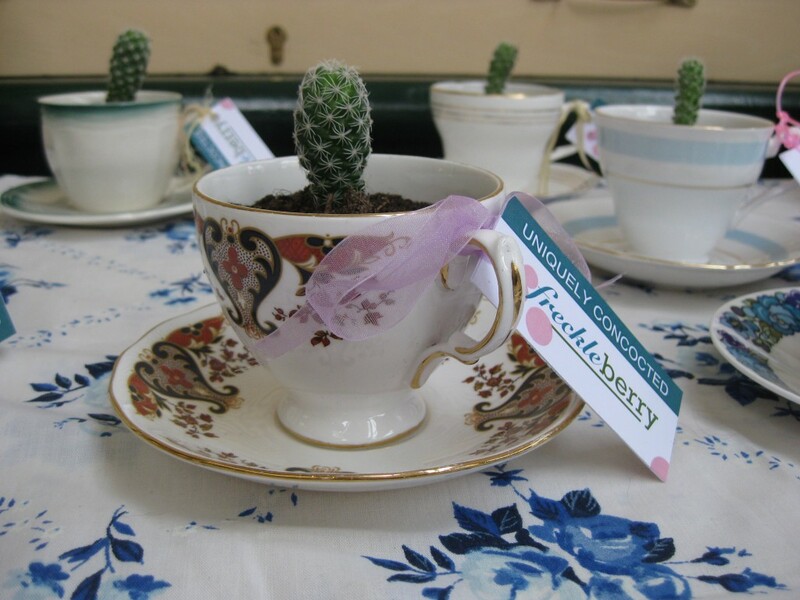 I love this unique idea from Freckleberry of using vintage tea cups as planters. We now have a little 70s number in our living room. 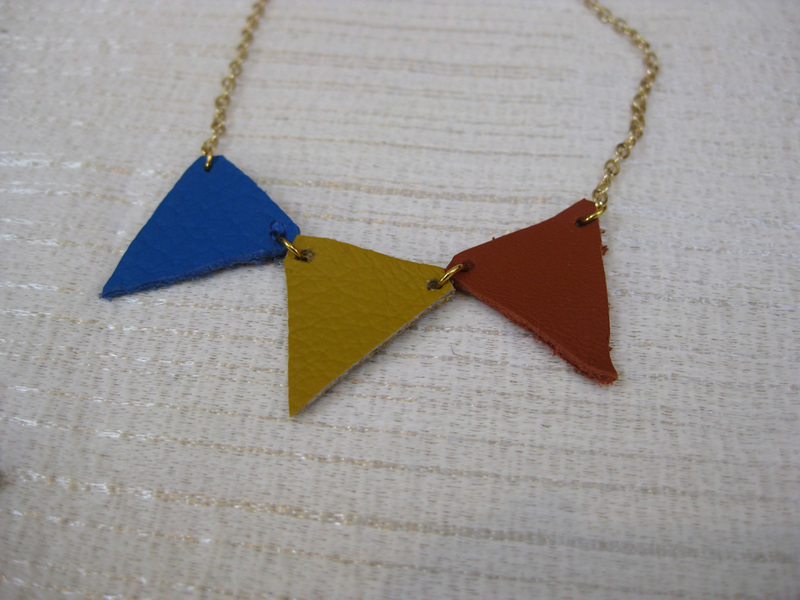 She does something different for every fair, which must take some imagination, but it makes each piece extra special. I cannot stress how much I want to learn to spin my own wool. 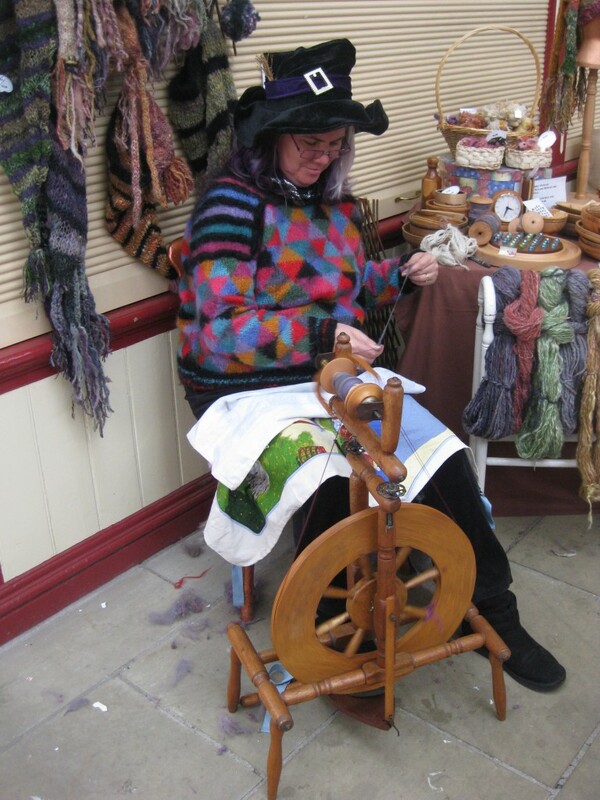 I’m going to get Judith here to teach me – she does tutorials in dyeing, carding and spinning. 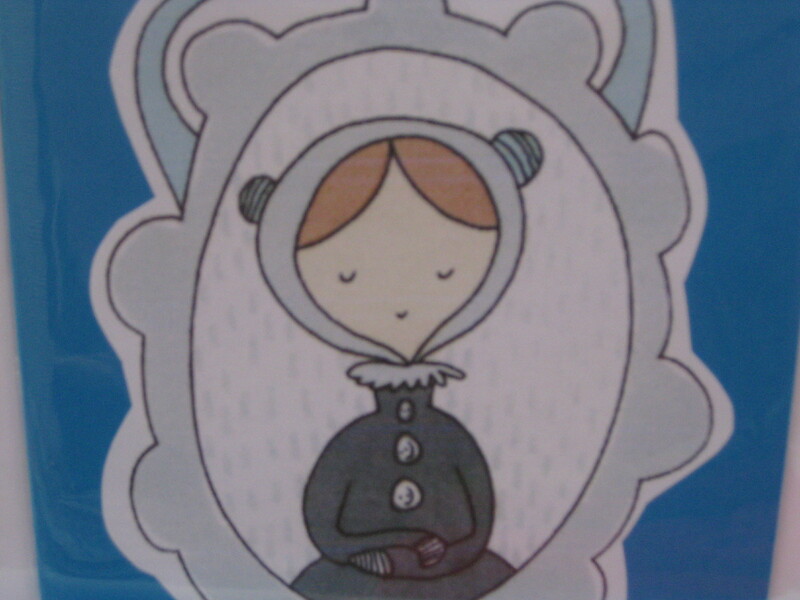 As well as making all her own lovely multi-coloured wool, she also knits them up into jelly bag hats too. This is Pansy of Polka Dot Pansy. She made the most incredible fleecy romper suits and other colourful accessories. 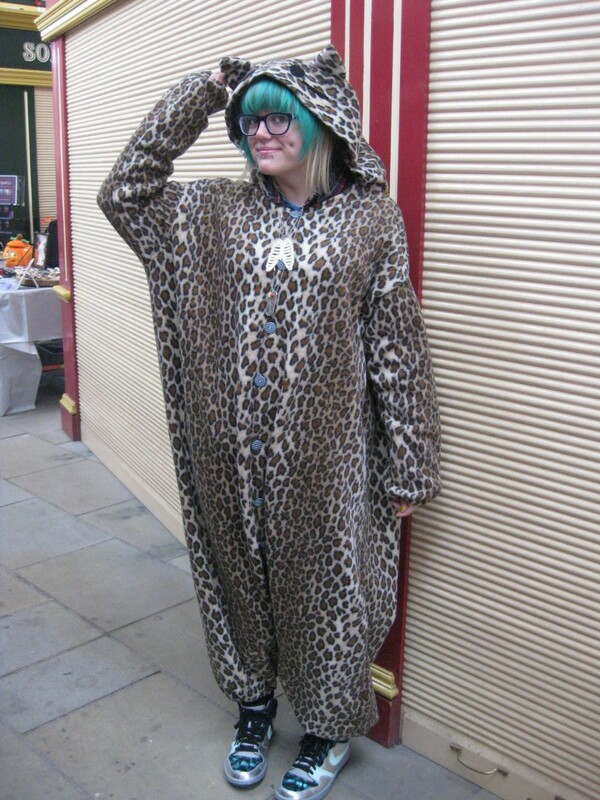 I couldn’t resist getting a shot of her cat outfit – I’m mad about animal print – plus I love the colour of her hair! 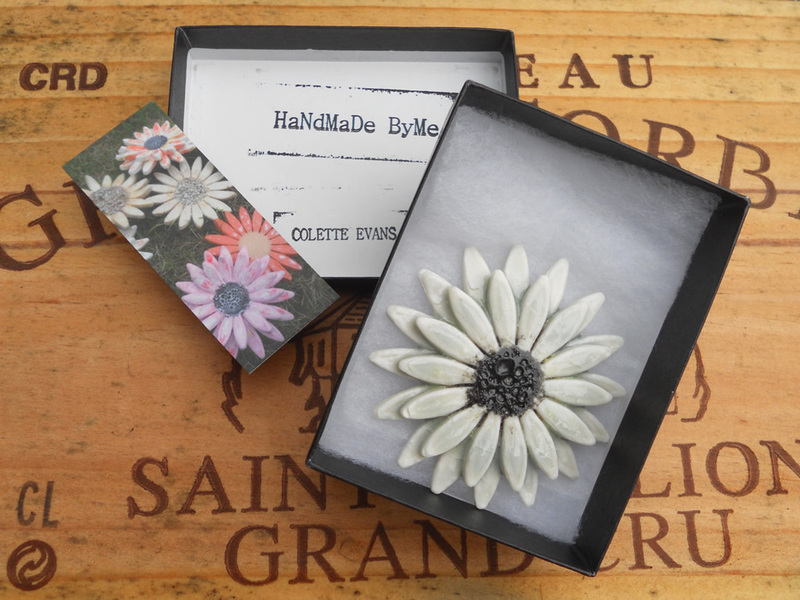 I also bought this beautiful brooch (as a gift for a friend) from the brilliant ceramicist Collette Evans, who is a regular fixture at the fair. If you’re lucky, you might see her making her wares on her potter’s wheel. 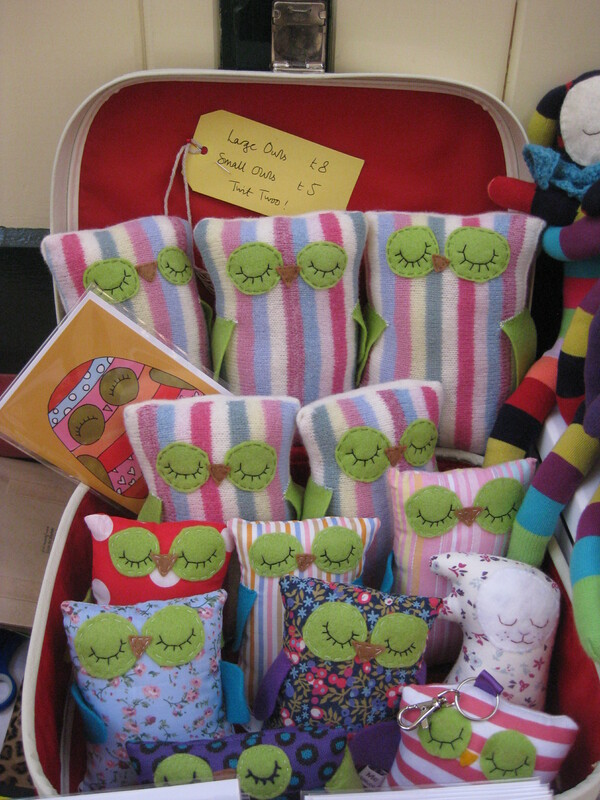 We (and many of these sellers) will be at Stockport’s indoor market hall again for the Christmas Handmade Market on 27th November 2011. But if you can’t wait, we’ll be at the outdoor market for a Traditional Christmas Market on Saturday, 26th November. See you there! This entry was posted in craft fair, events, fair, handmade, markets, stockport and tagged ceramics, craft fair, handmade market, illustration, jewellery, owls, stockport, wool. Bookmark the permalink.